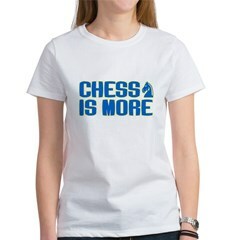 Great chess fan t-shirts and original chess novelties & gifts. 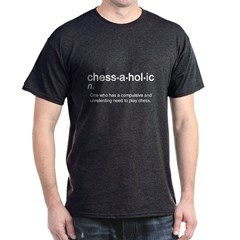 These great shirts and gifts feature an elegant illustration of a chess piece along with the text CHESS FAN. Great gifts here for chess fanatics! 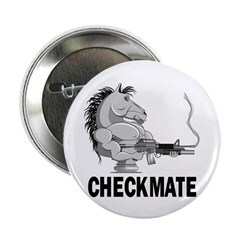 Funny chess t-shirts and original chess fan novelties & gifts. Are you a chess aficionado, or do you know someone who is? Here's a great design for chess fans. You've heard that 'Less is More', but did you also know that Chess is More too? Chess lover t-shirts and original chess fan novelties & gifts. These great shirts and gifts feature an elegant illustration of a chess piece. Great gifts here for chess fanatics! 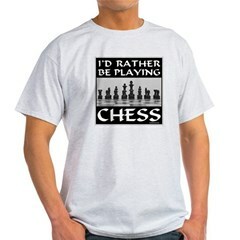 This fun graphic t-shirt design reads "I'd Rather Be Playing Chess" with chess pieces as the center of the image. These are great, unique gift ideas for the chess player on your list! This neat chess graphic is chess pieces arrange to look like a jolly roger style skull. Great for pirate chess players, haha! Unique graphic chess t-shirt gifts for any chess fan! Chess in Matrix style. Terminate your opponent by deploying computerized strategy and tactics. 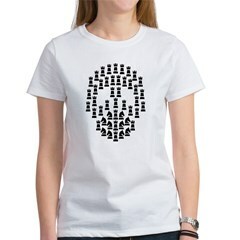 This totally unique graphic chess t-shirt design makes a great gift idea for any chess lover. This great chess design shows the definition of chessaholic: One who has a compulsive and unrelenting need to play chess. This funny text-based chess t-shirt design is great for any fan of the game of chess! 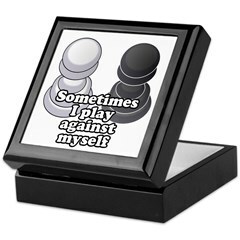 This funny graphic chess t-shirt design reads "Sometimes I play against myself." Two chess pieces in black and white are shown. This is a great gift idea for anyone that loves the game of chess! A heart that represents everything that we love about chess! Chess terminology dominates the text found in this chess heart design! All the keywords you come across as a chess lover, in one super design for chess lovers! Checkmate, taken to the extreme! 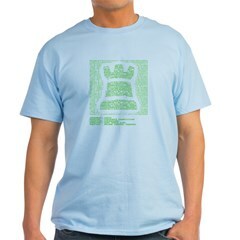 A great graphic t-shirt design for anyone that loves chess. 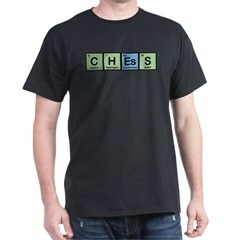 Original chess apparel and gifts for chess lovers and chess players! This design reads Chess Club Rocks in a grunge-style font. There are chess pieces along the bottom of this graphic design for chess players. Great for anyone proud to be in chess club! Chess club rocks! Major league chess player designs for fans of the game of chess! A chess piece is tilted on its side in this great spoof of major league sports designs. 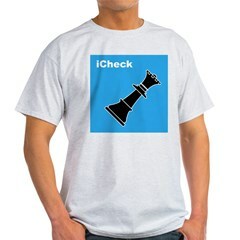 Great for chess players and fans! This stylish graphic chess t-shirt design shows a chess piece flying through the air on a flame! This unique chess design looks great on t-shirts and other apparel. Great gift ideas here for anyone that enjoys chess! 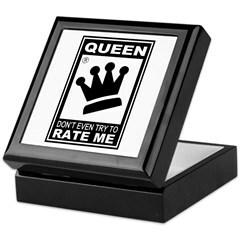 New ESRB rating type for our female chess players! Say it to those arrogant "man-made" rules that you've got a superiority above their stupid rating! This fun chess-themed design is a spoof of the popular iPod ad campaign. Here a chess piece is shown in silhouette with a white outline, along with the text iCheck. A great gift idea for any chess fan!